Approved Federal Housing Administration (FHA) Multifamily Accelerated Processing (MAP) Lender, specializing in apartment mortgages. Crain Mortgage Group, LLC was founded in 2009 with a mission to be the best FHA multifamily accelerated processing lender. To be the best requires knowledge, particularly product knowledge. One must be effective in the execution of the process, understanding the rules and being able to communicate them to everyone, FHA staff, and borrowers alike. Finally, to be the best, one must work hard enough to excel in a field of tough competitors. That requires hard work and reflection, boldness and patience and a desire to encourage everyone with whom you come in contact. Over the last 5 years, these programs have become harder for everyone associated with the financing. While rates have plummeted, the MAP Guide has changed twice and more Mortgagee Letters affecting FHA Multifamily Financing have been issued than ever before. Add to that the closing of many offices in the Southwest as part of Wave One, the overall transformation of FHA Multifamily, and you have a rather large upheaval in what were once very static programs. This turbulence seems to be headed towards eventual calm. After several years of uncertainty, it appears that uniformity is a goal for FHA underwriting that has been missing for a while. This will lead to greater certainty and streamlining of the process in 2015, as lenders become more adept with the new methods of FHA financing and FHA becomes more confident in its new powers to move forward. Timelines will actually be met I believe, making a certainty of execution a reality. So where does Crain Mortgage Group fit in all of this? We have an experienced staff that has been working together from nearly the start of the organization. We are systematic in our approach yet can easily adapt to unique financings. We work hard and we deliver value. This allows us to be in the prime location for FHA financings and puts us in a position to gather understandings of current FHA thought sooner than most companies. We package your loan well, succinctly and persuasively, creating areas of common agreement within the loan submission itself. We have an excellent track record of success. Presently we are in the midst of obtaining GNMA approval to service our own loans, which will deepen our ability to provide value to you the borrower and the property for years to come. We are excited about the future of Crain Mortgage and look forward to making your FHA financing a success! Danny Crain has been involved in FHA Multifamily Financing for most of the last 33 years, except for a stint with Fannie Mae and a longer time with the Resolution Trust Corporation, where he oversaw a $15 billion portfolio of assets from failed saving and loan institutions. 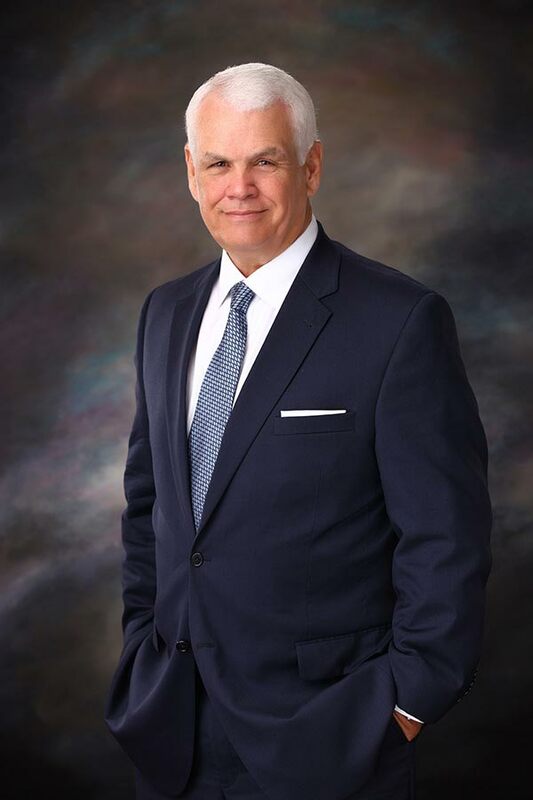 He has worked exclusively in the FHA arena since 1996, first with his own firm representing an FHA lender, then as Branch Manager for GMAC Commercial Mortgage in Texas and Oklahoma (GMACCM later became Capmark, and is now Berkadia) for 10 years. Danny started Crain Mortgage Group in 2009 and has led the company in closing over $255,000,000 in loans since 2011. Danny has worked with other lenders in helping them get tough loans closed during this period, for a total of another $100,000,000. Throughout his career, Danny has been involved in the closing of over $1 billion in FHA loans and approximately $3 billion in multifamily loans, altogether. Danny has an undergraduate degree from the University of Oklahoma and a Juris Doctorate from the University of San Diego. He is a licensed attorney in California, Texas, and Oklahoma, and a real estate broker in Texas and Oklahoma. What multifamily loan programs does Crain Mortgage Group, LLC offer? Crain has over 30 years of experience in both of these programs and has extensive demonstrated success throughout the south central United States. What kinds of properties benefit most from this financing? A. You have a bank loan or short fuse on your existing financing. While you might have an excellent payment record, the balloon note is coming due. This financing can cure this maturity and provide you with long term financing at attractive rates. B. You want off recourse. This financing is non-recourse (except for certain carve-outs) that will protect you against deficiency actions over time if the market changes. C. You want to make repairs or upgrades and money is not available through your bank or lender. These loans encourage improvements, providing for repairs and capital items, while often reducing your monthly payment. D. You want to pull cash out. Under the proper circumstances (a loan under 80% of value with all the escrows, costs and repairs taken care of), a borrower can pull cash out. E. You want to position the property for sale. These loans allow for great leverage that can actually increase your price if structured properly. You can get the property in top shape, performance and value by utilizing the high balance potential of these loans. If you get the property in its best operations, looking its best and with a low interest rate, high balanced assumable loan, you are half way to a premium price on your sale. F. You want to put the financing to bed for all time and not have to worry about refinancing again. This is the loan for you. At these rates, you won’t ever have to worry about being pressured by loan terms to refinance again. How does the New Construction/Substantial Rehabilitation program work? The 221 (d) 4 program is a fixed rate, assumable, non-recourse 40 year fully amortizing loan. For market rate units, the loan can equal almost 84% of costs. Allowing for BSPRA and excess land value, the equity requirements can be significantly reduced from there.<!–more–> The process starts with you and Crain Mortgage developing a property and a loan that will support that property and your construction needs. Then we meet with FHA regarding a Concept Meeting, sharing with them your ideas and how this loan will produce a needed apartment property in a particular location. If FHA agrees, we proceed to a Pre-Application. The Pre-Application generally defines in a more formal manner the need for new units in a particular submarket and the proposed unit mix, rents and expenses to be underwritten to determine a loan size. This involves a market study, income and expense analysis and rather extensive underwriting. The loan is not completely set at Pre-Application but the terms are getting close. If FHA approves of the property, it will issue an Invitation to Proceed to Firm Application. This step produces the final loan, the final plans and specifications and the final parameters (including escrows for operating deficits during lease up and the working capital escrow) of the entire undertaking. FHA typically approves these loans if the terms do not significantly vary from what was approved at the Invitation. The loan is committed, closed and you begin to build. Why obtain my FHA Apartment Mortgage through Crain Mortgage Group, LLC? In the movie Popeye with Robin Williams and Shelley Duvall, Olive Oyl’s girlfriends ask her why she is dating Brutus. “He’s ugly, he’s mean, he’s smells”, they say. Her response: “but he’s large”. Many people like the idea of large financial institutions and in some cases that makes sense, especially if you are contemplating a lawsuit, or hoping for big settlements. We prefer a proactive, personalized approach to helping you get your loan. Rather than being one of thirty loans the office is trying to complete, wouldn’t you rather be one of ten, where you can speak to people who are up to date on your file? We don’t tell people we are going to have to call them back because we barely remember who they are let alone what their deal is about. I have worked in large companies. That happens a lot. We provide straightforward advice on your transaction, whether good or bad. We work hard to expedite your loan, and interact aggressively on your behalf. We specialize in quick turnarounds of information, forms, submissions and follow up. We really care about you. Plus, people like dealing with us-clients, third party report preparers and FHA. An excellent way to begin is to gather up the item’s on the Borrowers’ Checklist. Then send us an email or call us to discuss at 972-407-1500. We want to help and are interested in hearing your plans for your property. GLet’s get started on the process of putting the right loan in place for you.